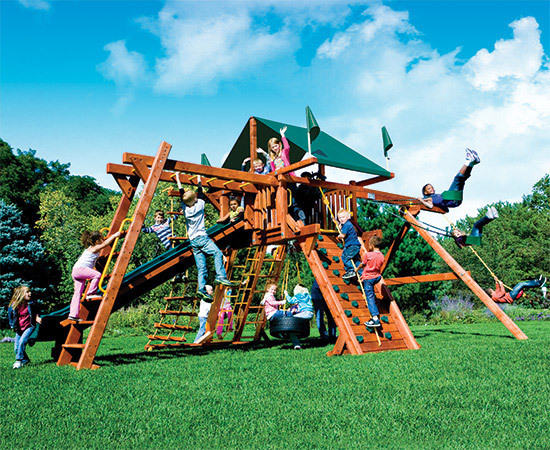 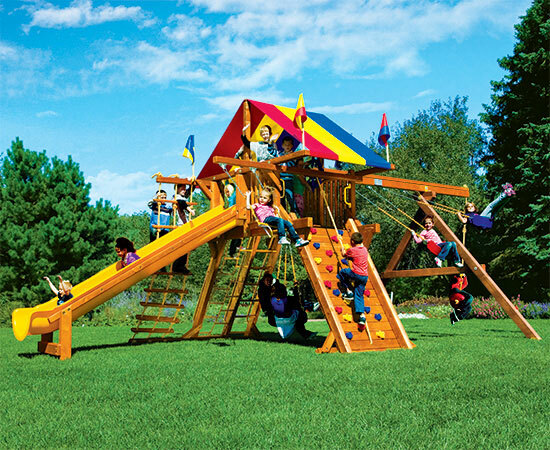 The Monster Castle swing set was designed for the families looking for something larger than the Original Rainbow Castle Climber® swing set. 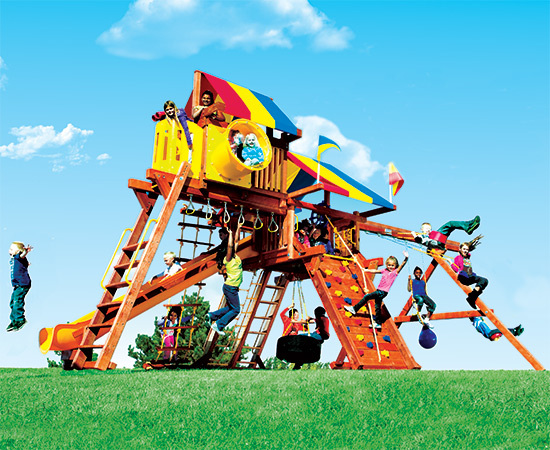 Coming in with a 5’10” deck height, 9.5’ swing beam height and the 11’ Super Scoop Slide the Monster Castle is definitely a hit! 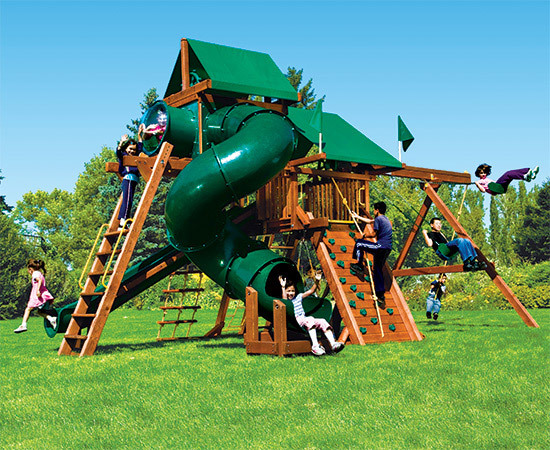 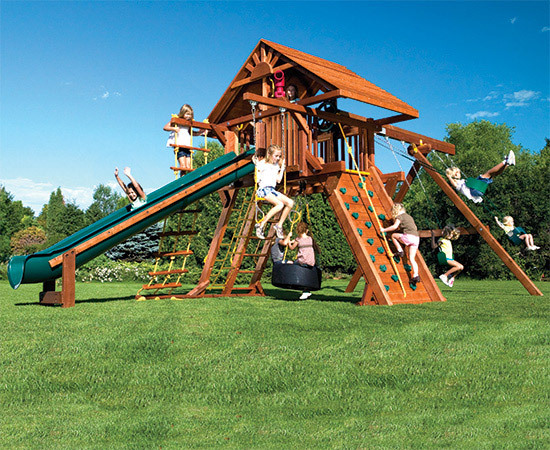 Monster Castles have all available swing set options, add-ons and accessories and are fully modular and expandable.